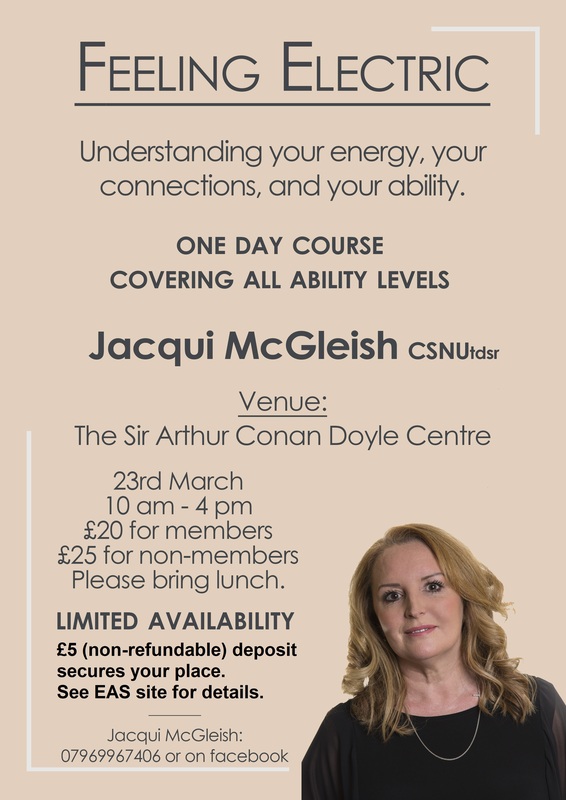 This course will be covering your energy and spiritual connections. This workshop is £25 for non members and £20 for church members. If you would like to secure your place (£5 non refundable deposit) then either contact a committee member after one of our services or pay through Paypal below. If you are paying online then just enter the name of the person that is going to attend and then press the ‘Buy Now’ button. You don’t even need to have a Paypal account – all major credit cards are accepted. When you get to the next screen there is an option at the bottom to just user your credit card without logging into Paypal.